Though the Benami Transactions (Prohibition) Act, 1988 has been on the statute book since more than 28 years, the same could not be made operational because of certain inherent defects. With a view to providing effective regime for prohibition of benami transactions, the said Act was amended through the Benami Transactions (Prohibition) Amended Act, 2016. The amended law empowers the specified authorities to provisionally attach benami properties which can eventually be confiscated. Besides, if a person is found guilty of offence of benami transaction by the competent court, he shall be punishable with rigorous imprisonment for a term not less than one year but which may extend to 7 years and shall also be liable to fine which may extend to 25% of the fair market value of the property. The Benami Transactions (Prohibition) Amendment Act, 2016 came into effect from1st November, 2016. Several benami transactions have been identified since the coming into effect of the amended law. 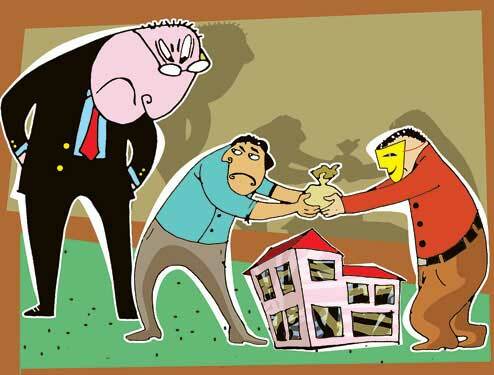 Show cause notices for provisional attachment of benami properties have been issued in 140 cases involving properties of the value of about Rs. 200 crore. Out of these, provisional attachment has already been effected in 124 cases. The benami properties attached include deposits in bank accounts and immovable properties.